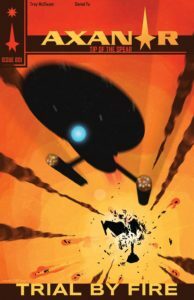 AXANAR Comic Book NOW AVAILABLE! 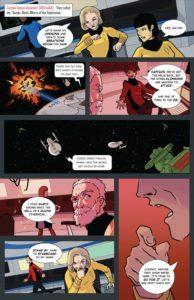 Last month, I presented an interview with uber-AXANAR fan TREY McELWAIN, who was planning to release a 4-page (including cover) Axanar comic book. The cover itself was already completed, and Trey told me that his artist (and personal friend) DANIEL FU was working feverishly on the artwork. Apparently, “feverishly” was indeed the adverb to use, as it is less than a month later and the comic book is now finished! 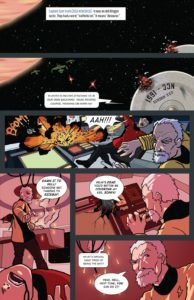 It debuted earlier today in various places on the Internet (it’s a free comic, after all), and I’ve been allowed to feature it here on Fan Film Factor, as well. I am not sure what the future holds for “Trey’s AxaComics.” My hope, my dream, is to continue on, and get the Parts 1 and 2 out. 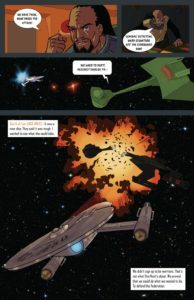 “Trial By Fire,” which I’ve just released, would actually be Part 3, with the Ares going up against the D6. 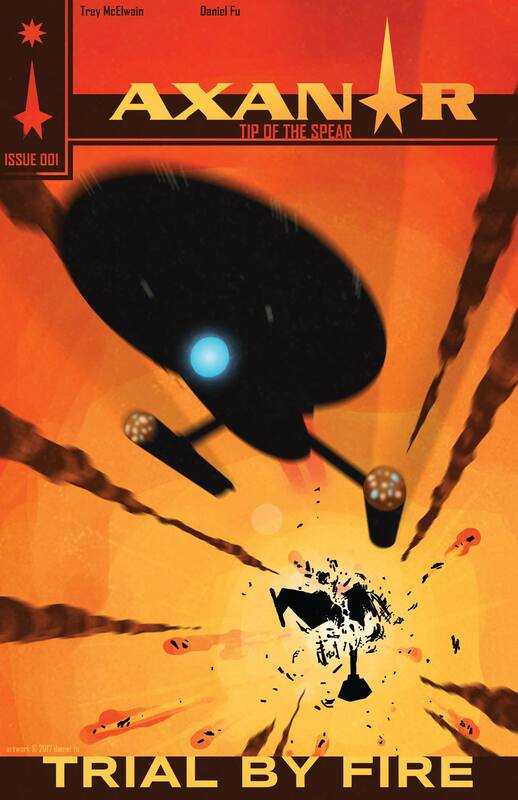 Parts 1 and 2 are going to cover the Klingon Invasion, and the construction of the Ares. And then when we all get to see Episodes 4 and 5 from Alec, I’d like to follow suit and continue on with the adaptation process! One thing is for sure though, this entire experience has been a blast, and I am thrilled to share it with everyone! I’ve included lower-resolution images of the pages below. But if you’d like to see the artwork in beautiful higher resolution, feel free to download and view this Axanar Comic PDF file. has been so much fun. I truly thank you for so much entertaining information. Thank you again Jonathan for everything! Epic! Thank you for all your efforts. Love the comic but I don’t understand why all 3 federation ships are the same, or what makes the Ares “new” and tougher than the other two. From “Prelude…” I thought the other ships were different types. I don’t think this was a direct adaptation of Prelude itself. 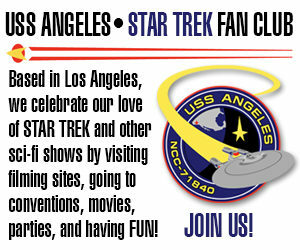 I saw it happening a few weeks/months later after the Ares fleet entered service. But we can ask Trey. Please do, as I was thinking the same. The challenge is that Daniel Fu can’t afford to work for free…and creating pages of comic book artwork takes a lot of time. I’m sure Trey would love to make a 20- or 50-page Axanar comic book. But that’s just not financially viable. Nice! I’d like to see a series based on the proposed full length movie. Me, too…but that’d cost a LOT of money for Danny’s time!!! Many thanks to Trey and Daniel for all their efforts here! Truly amazing work! Thank you so much Alec! I am so thrilled that it was widely accepted!